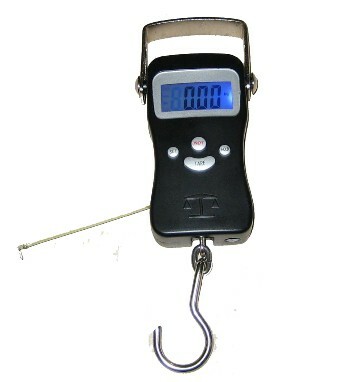 Newline digital hanging/fishing/luggage scale is sturdy with capacity of 50kg /110 lb. It is portable and built-in with a 3-ft or 1-meter tape measure. It is handy to weigh or measure fishes, and great for quickly weighing bulk items, like luggage or live stock. So, it is a great scale to avoid overweight luggage charges.